Coastal Bend Day of Giving: Rockport-Fulton Good Samaritans, Inc. This year's Coastal Bend Day of Giving supports 50 area nonprofits on the forefront of assisting those in need, and Rockport-Fulton Good Samaritans, Inc. is one of them. "Mission: To provide short term aid to people in Aransas County who are in need of food, goods, and essential services. 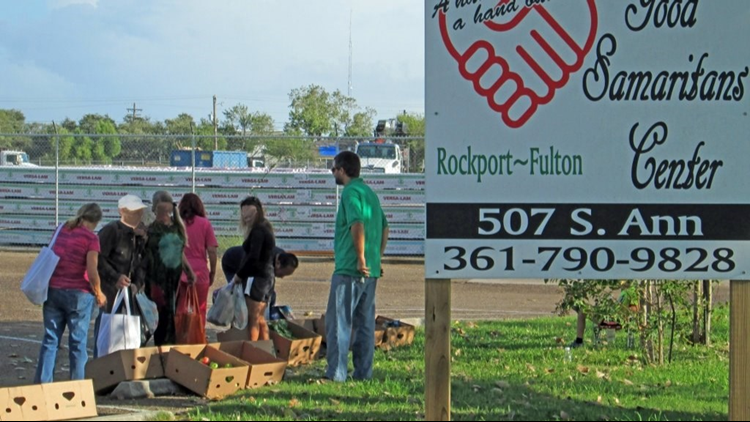 Rockport-Fulton Good Samaritans, Inc, was established in 1990, and by June of 1991, the organization was functioning successfully, providing much needed assistance to those in need. Good Samaritans continues to help the residents of Aransas County, most of whom are hard-working people with low-paying jobs, individuals who have lost their jobs, retirees and disabled persons living on social security payments, or single parents without the resources to meet the needs of their families. Last year the need following Hurricane Harvey was extensive. Good Samaritans was there to assist and continues to provide support for those in need. In 2017, Good Samaritans assisted 2149 families, some once, some many times. Healthy meals were provided for 14,672 individuals. Working with other agencies, we guaranteed that our clients' critical utilities remained on. Good Samaritans provided health care needs not covered by other agencies, including transportation to doctors. Working with local merchants and a huge thrift store, we provided clothing for all family members. Services outside the normal center hours provide additional support for clients. 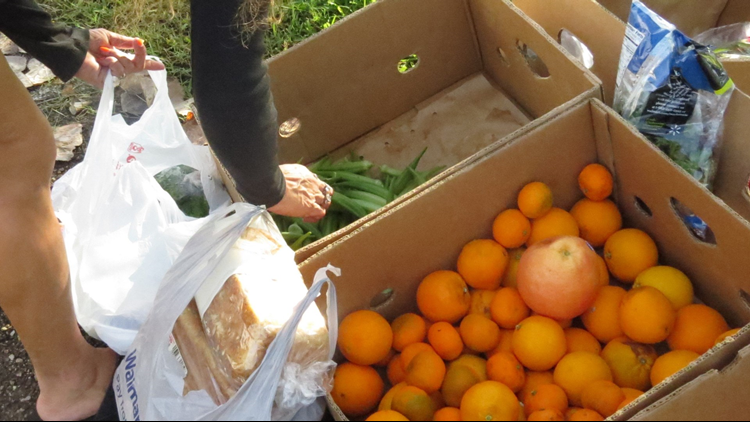 Each Saturday morning a "farmers market" is set up in the Good Samaritans parking lot where produce and bread are given away in an orderly first-come/first-served basis. Generally upwards of 40 individuals are served each week. Every year in December, Good Samaritans distributes over 600 Christmas Baskets to Aransas County families. Each basket contains all the ingredients necessary to complete a holiday dinner. A small cottage served as the Good Samaritans home until 2002. Our new center was built at minimal cost, through the volunteer efforts of many organizations and individuals, and was designed specifically to meet the needs of the growing organization. Good Samaritans has now outgrown its present facility, and there is need for expansion. All work is done by volunteers and a few periodic contractors. Operating costs are kept very low. Consequently, most donations to us go to solve the needs of our clients. 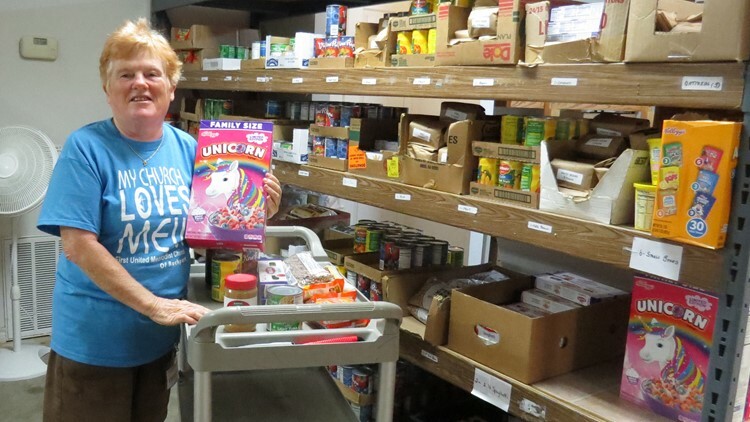 Good Samaritans' core group of volunteers, numbering anywhere from 75 to 100, work regularly to meet our client needs, stock the pantry, distribute food items, obtain funding, and complete all the tasks necessary to keep our service center open and running. Most volunteers work several hours a week, some much more. Good Samaritans is governed by a Board of Directors consisting of executive committee members, past chairmen, members of the community, and representatives from our ten participating churches. Our executive committee consists of officers and team leaders – all volunteers. Rockport-Fulton Good Samaritans does its best to meet the new and different challenges that come through our door. We are proud of what we do." Check out the links below for more information about Rockport-Fulton Good Samaritans, Inc..